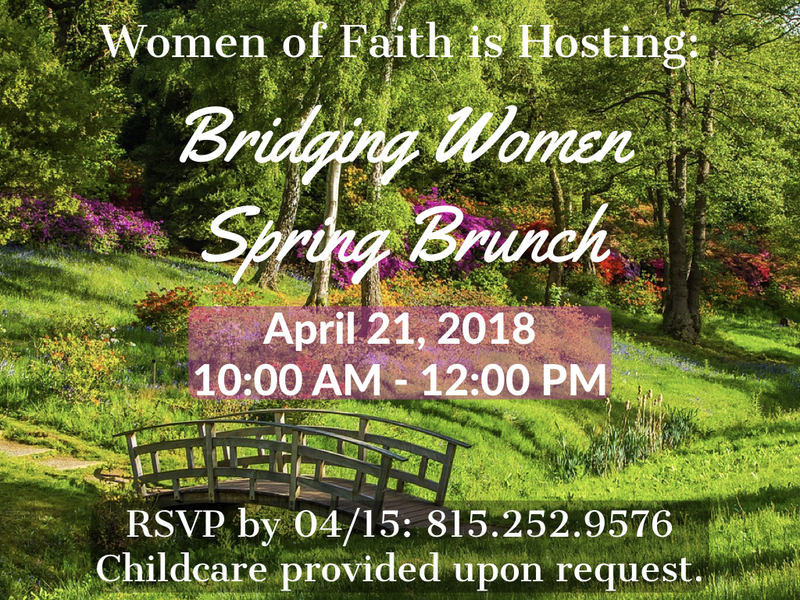 Women of Faith is hosting Bridging Women Spring Brunch on Saturday, April 21 from 10:00 AM – 12:00 PM. All ladies are invited to come for a wonderful time of fellowship. Please RSVP by 04/15: 815.252.9576 Childcare is available upon request.